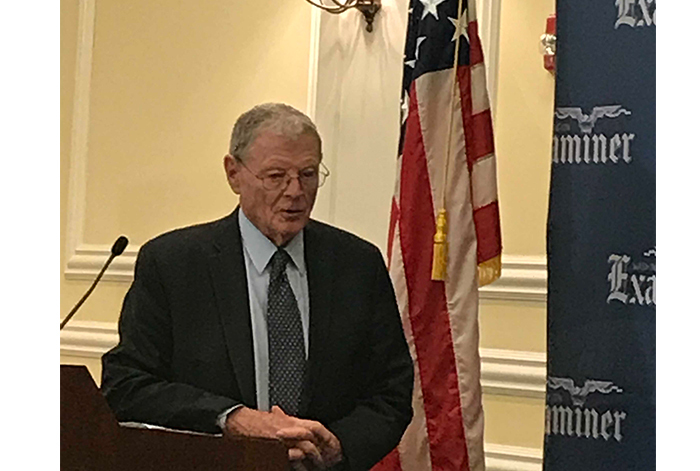 Sen. Jim Inhofe (R-Okla.) supports indexing the federal gas tax to inflation, something he said should have been done before. But he characterized as “a lot of wishful thinking” media reports that President Donald Trump supports raising the gas tax. Inhofe is chairman of the Senate Environment and Public Works (EPW) Subcommittee on Transportation and Infrastructure. Carper is the ranking Democrat on the overall committee. A day earlier, both attended a bipartisan and bicameral meeting of lawmakers who met with Trump to discuss the new White House infrastructure plan.